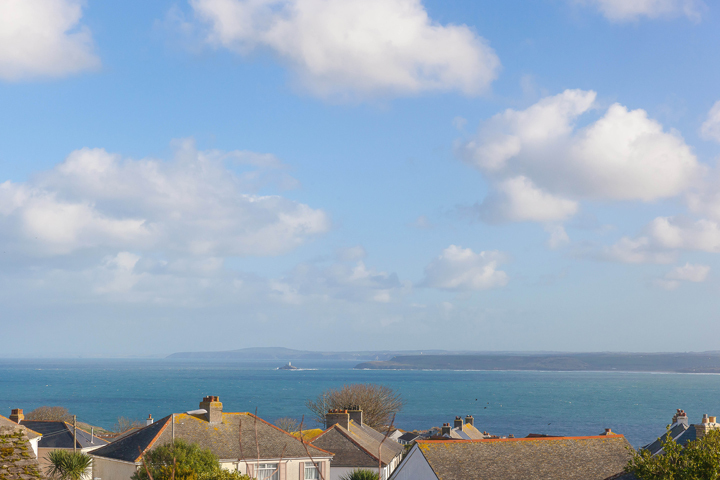 This cool and characterful house is located just 15 minutes on foot down to the heart of St Ives and benefits from having its own enclosed garden and terrace in which you can retreat to after a hard day on Porthmeor beach! 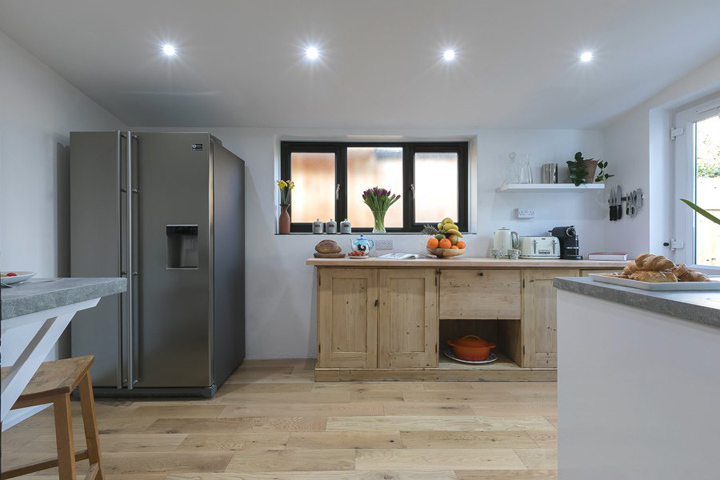 Add to that the two driveway parking spaces and cosy open fire and you have the perfect all year round holiday home from home. 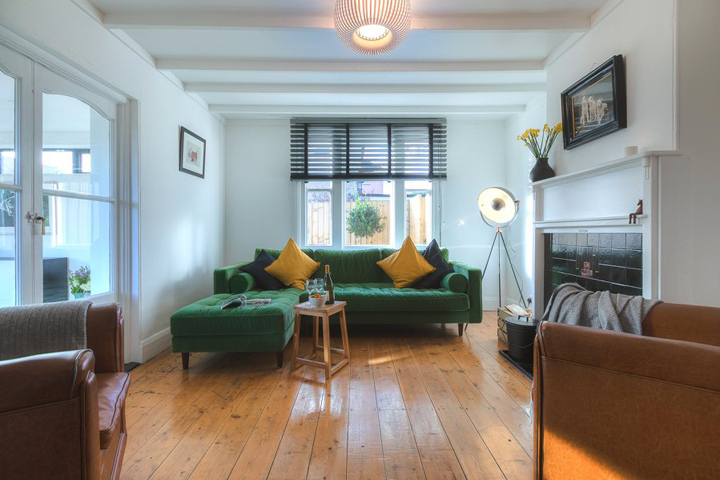 The second living room is a real bonus and an ideal space for children to play or watch a Netflix film on the Smart TV, or perhaps for their parents to escape to for a little peace and quiet! The picture window offers fabulous far-reaching panoramic views of Godrevy Lighthouse, Stones Reef (hence the house name) and St Ives Bay and beyond, and the comfy window seat an ideal spot on which to lounge or read in peace.The garden at Stones Reef is enclosed so perfectly suitable for children and dogs alike. 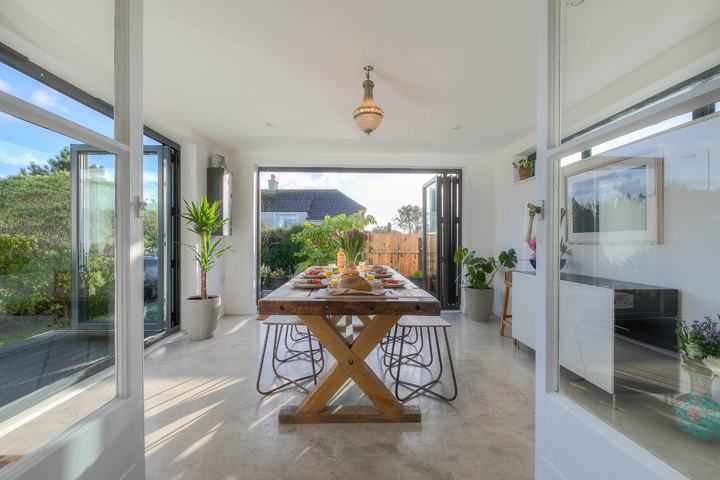 A large bbq is provided and can be enjoyed on the terrace with the dining room bi-fold doors fully open to truly make the most of the inside/outside space.Stones Reef is located just a few minutes walk away from the SouthWest coast path. 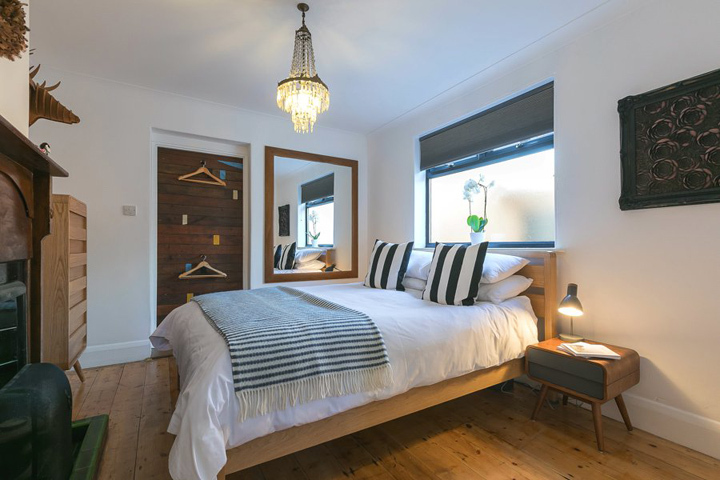 Ground floor has living room with open fire and Smart TV, contemporary sunny dining room with bi-fold opening glass doors on two sides, kitchen, shower room and two bedrooms, one with king-size bed and the other with two singles. 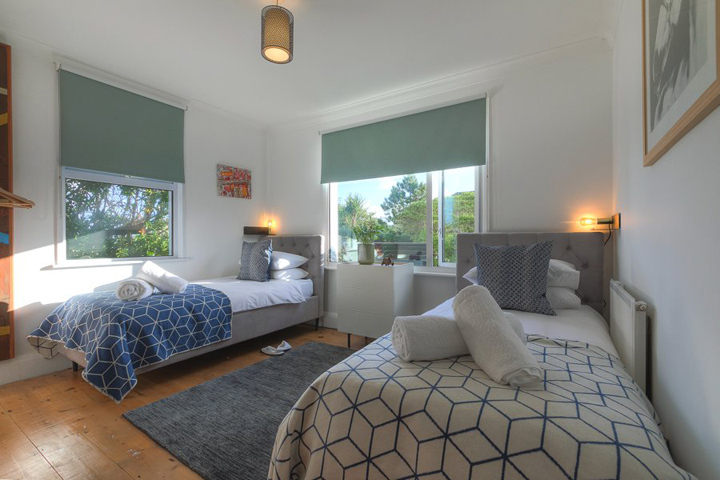 On the first floor you will discover an extra snug lounge area with window seating and stunning sea views, plus one further bedroom with king-sized bed and its own en-suite bathroom. For those with furry friends up to two dogs are welcome at Stones Reef with some perfect doggy walks just a stones throw away. Dogs are allowed on the beaches in St Ives between 1stOctober and the Sunday before Easter. 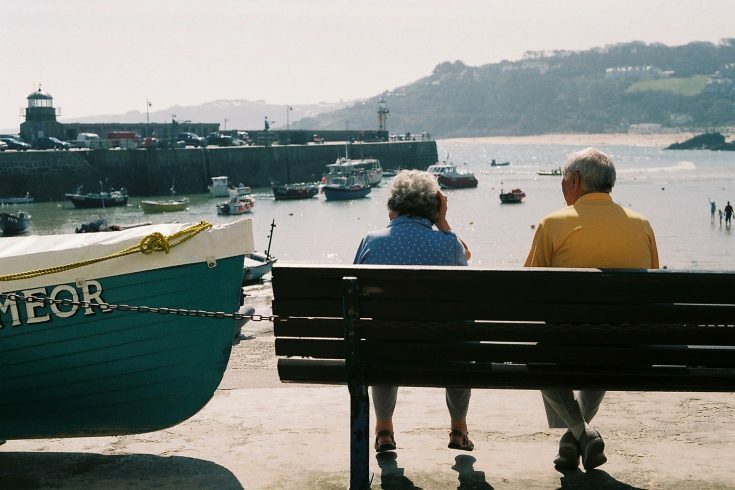 Porthmeor is the closest of St Ives’ beautiful beaches to Stones Reef, just a leisurely ten minute walk down to one of Cornwall’s most stunning sandy, kid friendly surf spots and home of Tate St Ives. 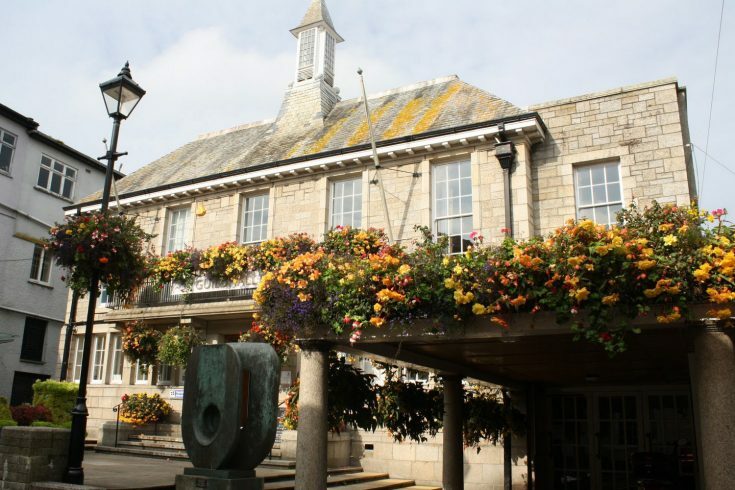 A few minutes further on will bring you to St Ives harbour, town centre and the old fishing quarter of Downalong with its many art galleries and twisting turning cobbled streets. 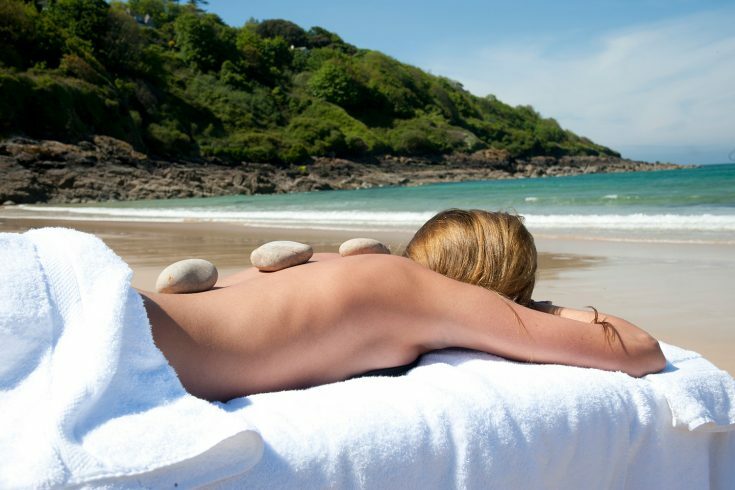 Porthgwidden beach and Porthminster beach are also easily accessible, as are their lovely beach fronting restaurants and café bars.